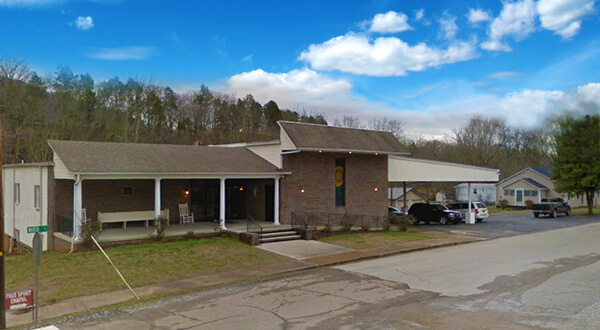 Daisy V. Morgan, age 81, went to be with Jesus on Friday, November 16, 2018, at Life Care Center in Jefferson City. 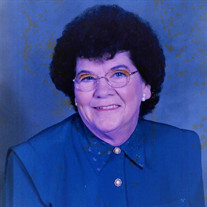 She was a member of Blue Springs Baptist Church. She is preceded in death by her parents James Harley and Audria (Brown) Owens; husband Rayford Morgan; and siblings Delmar, Earl, and J.H. Owens, and Ila Johnson. She is survived by her sons Daryl Ray Morgan and wife, Diane, and David Brian Morgan and wife, Wendee; grandchildren Kristie Fey, Lacey Helvey, Mady Helvey, and Kaycee Rae Morgan; siblings Odlian, Elmar Owens, Wanda Groover, Alva Mackey, Darlene Rush, Shirley Wolfenbarger, Mary Blair, and Leta Lawerence; several nieces, nephews, and other beloved family members and friends. The family will receive friends from 5:00 to 7:00 pm on Monday, November 19, 2018, at Smith-Reagan Funeral Home in Rutledge, with funeral services following. Revs. Steve Lewis and Greg Williamson will officiate the service. Graveside services will be held at 11:00 am on Tuesday, November 20, 2018, at Jefferson Memorial Gardens in Jefferson City. The family wishes to give special thanks to all the nurses and staff at Life Care of Jefferson City for the care given our mom.